I sometimes workout on a hill not very far from where I live. When I got to the top of the hill today and turned around to go back down, I thought about how steep and long it is, but it didn’t seem it coming up. I had my head straight but my eyes were looking down at the payment just in front of me. Because of that, it didn’t look at all like it really was, steep, and it was a lot easier to get to the top. When there is a challenge before you, financial, relational, work, whatever, it’s critical where you set your eyes and mind. 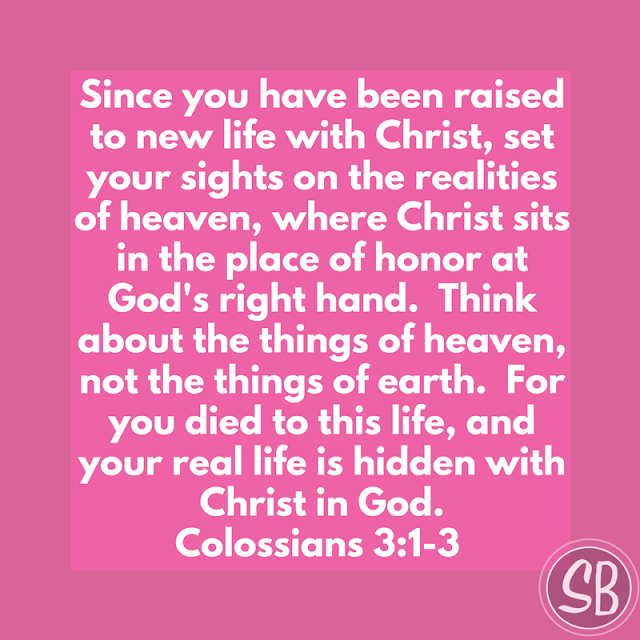 When it’s over, you will turn around and see that although it was a “challenge” and might have been “steep”, because you had your eyes on Jesus, you were hidden WITH Him IN God and victory was yours, you are more than a conqueror through Him!